5) Specify location of R using R_HOME environment variable. (like: C:\R\R-3.0.2). Note: to check the installation press Help button in R plugin in Spoon. 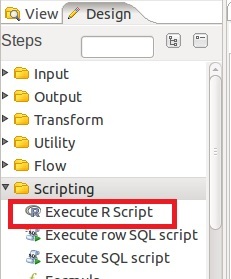 We demonstrate the usage of “Execute R Script” plugin by solving the following task. 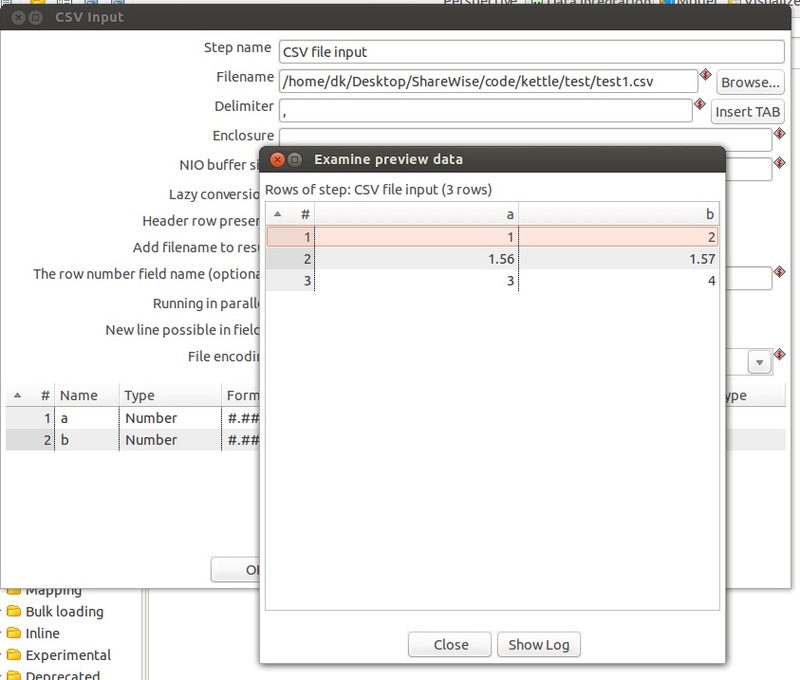 In CSV file we have the values for two variables a and b. We should calculate the sum of these variables for every row in CSV file. R script contains two sections. 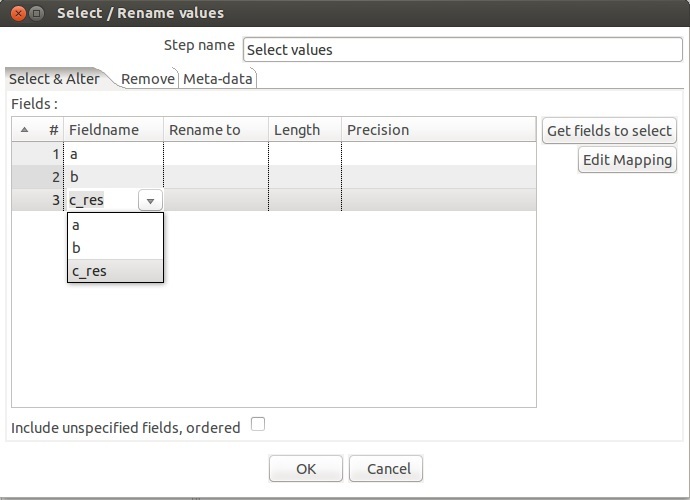 The first one is used to define mapping between input fields in PDI (Pentaho Data Integration) and variables in R script. 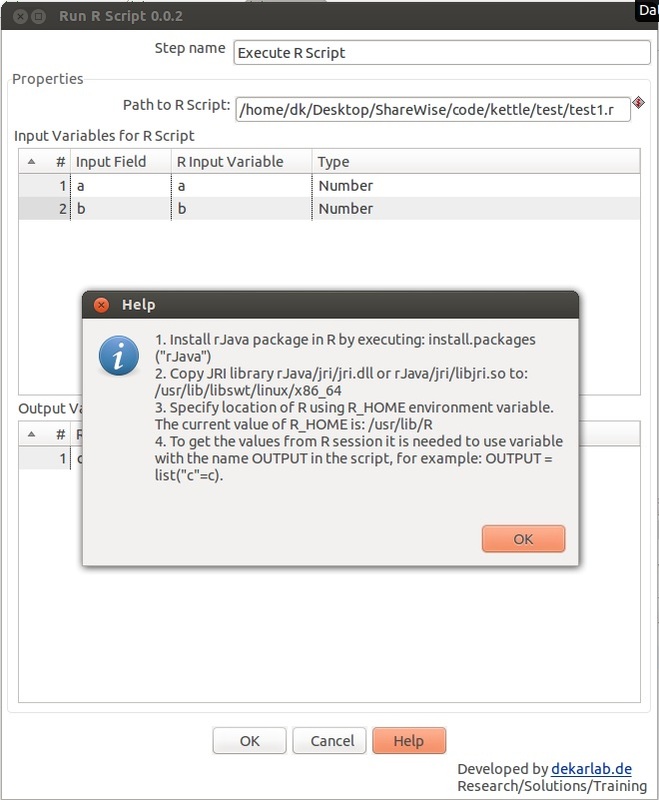 The second one is used to define mapping between output variables from R script and output fields in PDI. We have two fields in PDI with names a and b. In R file we have two variables with names a and b. In R script we define the third variable c as a sum of a and b. In R script there is one service variable OUTPUT of type list. 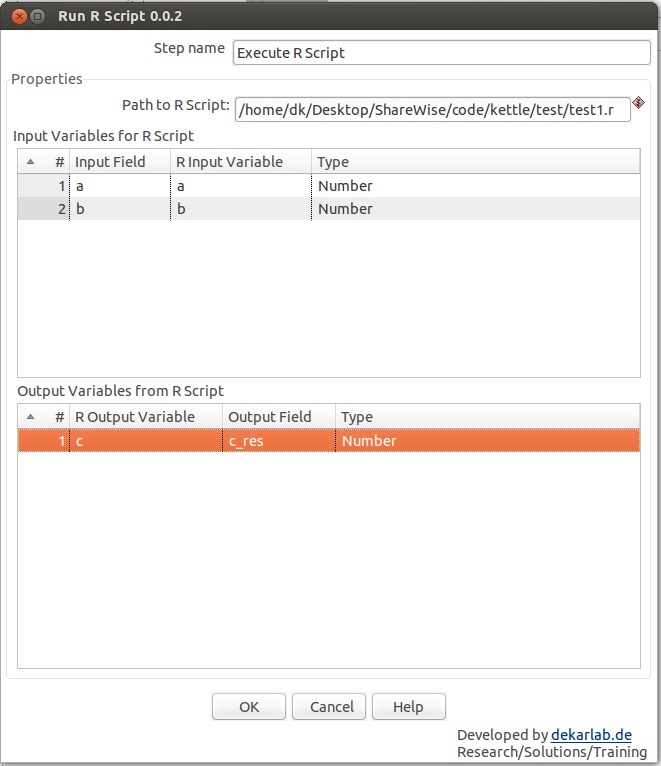 Using this variable we can define output values. In our case the output is only variable c. For this variable we can define a new field in PDI. In our case this is c_res field. 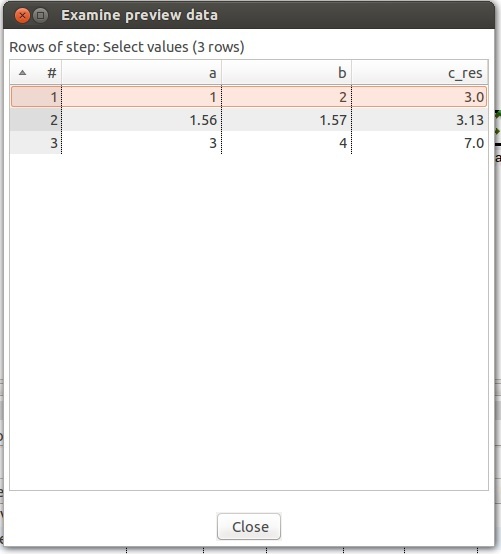 In Select Values step we show the values for three fields a, b, and c_res. The result is demonstrated on the picture below. For more complicated tasks it is recommended to define functions and use direct database connection in R script. For example, we use Run.R in PDI and call function MainScript, which is defined in MainScript.R. #Here the model can be evaluated and results can be saved in variables err_train and err_gen.